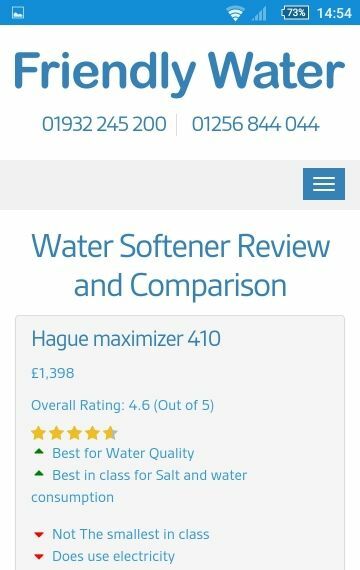 Friendly Water wanted a fresh new design for their website while keeping the extensive funtionality of the previous version, including online salt order form, product comparison, an interactive 'Ask the experts' page, and document repository. Optimisation for Google AdWords was essential, as this channel was to be developed, allowing Friendly Water to stop leaflet-based campaigns. Cloudlevel built a fast, easy-to-navigate site that allows Friendly Water to promote their products effectively. 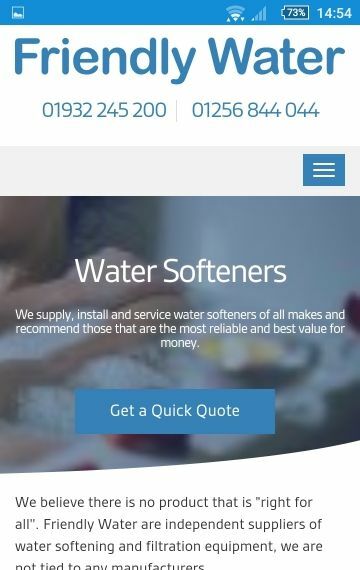 Visitors to the site are able to easily arrange a visit from Friendly Water, order consumables, or obtain valuable advice and information about the products on offer. 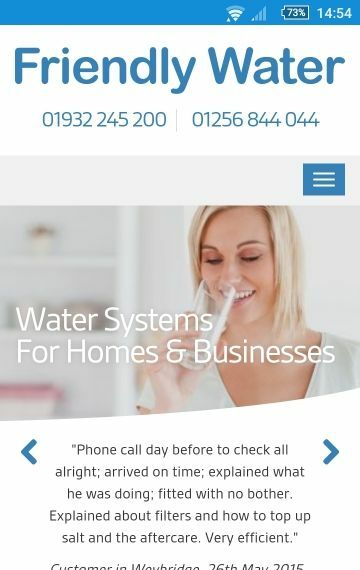 Each landing page has been carefully constructed to ensure Friendly Water's Google AdWords campaign is successful. We highly recommend Cloudlevel. Very good, professional and reliable company. We have had four websites built by Cloudlevel over the last 3 years. The new websites look great, perform really well, have very high scores, and just in 3 months the number of website inquiries increased by 30%, resulting in a steady increase in sales.